This chapter describes how security is an important aspect in today's digital world. Every day technology grows with new advancements in various areas, especially in the development of web-based applications. All most all of the web applications are on the internet, hence there is a large probability of attacks on those applications and threads. This makes security necessary while developing any web application. Lots of techniques have been developed for mitigating and defending against threats to the web based applications over the internet. 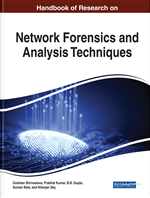 This chapter overviews the important region of web application security, by sequencing the current strategies into a major picture to further the future research and advancement. Firstly, this chapter explains the major problem and obstacles that makes efforts unsuccessful for developing secure web applications. Next, this chapter distinguishes three basic security properties that a web application should possess: validation, integrity, accuracy and portray the comparing vulnerabilities that damage these properties alongside the assault vectors that contain these vulnerabilities. Some of the fundamentals of security for the end to end services and application security in the distributed applications over the internet. Here describe the basic security principles that are necessary for the security architecture of web services and applications.